An awards organization that tracks the vital signs of the search engine optimization industry, 10 Best SEO recently chose WebpageFX as one of the top-level providers of this crucial service. Corporations can look to the latest compilation of the organization's coveted Best Enterprise SEO Agency list to find reputable outfits with which to partner on better online marketing plans. 10 Best SEO has chosen the September 2017 winners of its Best SEO Agency award, with WebpageFX named as the industry’s premier firm. Each month, 10 Best SEO employs a complex algorithm, supplemented with research and testimonials from clients to accurately rank search engine optimization agencies from the best to the worst. Although the best enterprise SEO agency award is designed to be an accurate representation for any given month, its main purpose is to also help potential clients find the best enterprise search engine optimization company. In terms of effectiveness, WebpageFX is the clear winner among the best search engine optimization companies for the month of September. Located in Pennsylvania and recognized for their outstanding performance in working with small businesses, WebpageFX has managed to position itself as a leader in an incredibly competitive industry. In addition to having a quick and effective methodology, WebpageFX prides itself on being adaptive to changes in the market, ensuring that its clients are always at the forefront of their local search rankings. in 1997, Straight North is top enterprise SEO agency that has proven to be one of the most reliable in the marketplace today. Aside from their reputation for efficiency and professionalism, Straight North has also been singled out for its excellent customer support staff. All of these factors have combined to help make Straight North one of the leaders in the industry, and by 10 Best SEO's estimation, one of the best for the month of September. Rounding out the top winners for September, 10 Best SEO has selected Boostability for the number three spot. Located in Utah, Boostability's services are of particular value for companies that are interested in rapidly growing their digital brand for a wider audience. As a leading enterprise SEO agency, Boostability is more than capable of helping clients to develop entirely new sites for their brand. They're also equally adept at helping businesses to completely revamp their existing infrastructure for a new audience. Depending on the needs of a specific client, Boostablity can adapt its strategies to best suit their circumstances. While these are all excellent choices for anyone interested in search engine optimization services, there are still plenty more companies available across the country. 10 Best SEO hopes to continue helping businesses by highlighting the best search engine optimization agencies for each month, starting with September. 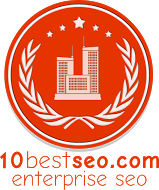 For more information about the award winners for this month, please visit http://www.10bestseo.com.